Hot off the success of High-Rise and The Night Manager, Tom Hiddleston is poised to become one of Hollywood’s new leading men. He’s done the artsy biopic, got a tentpole movie on the horizon, and he seems to have the requisite number of fucks to play the new James Bond. But none of that would mean anything without an appropriately A-list romance—enter Taylor Swift, whose schedule cleared up recently. A pile of rocks, which presumably represents the unchanging nature of their love, stood witness to their recent, carefully coordinated declaration. And Hiddleston continues to show off his media savvy, teasing his exotic appetites in this clip from the audiobook for J.G. Ballard’s High-Rise. By his own admission (in a soundbooth, reading the book’s text for Audible), Hiddleston role-plays as a doctor—the kind who goes to key parties—who sometimes enjoys dining on some dog. That scandalous revelation should send Twitter aflutter and clog the news cycle for at least the next day. And once Tay-Tay releases a song trashing him— “Heart Of Hiddlestone”? “Loki Who’s Cheating”?—Hiddleston will probably be offered the lead in the next Star Wars spin-off. Our hat’s off to him. 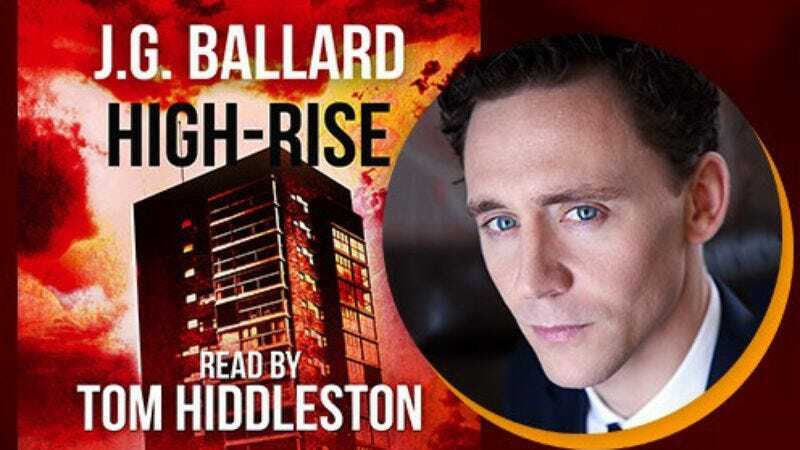 The High-Rise audiobook debuted on Audible last year, so you can check it out in its entirety.